Word banks are useful tools to help improve children's writing in KS1 and KS2. Find out how to create one at home and make expanding vocabulary a whole-family project! 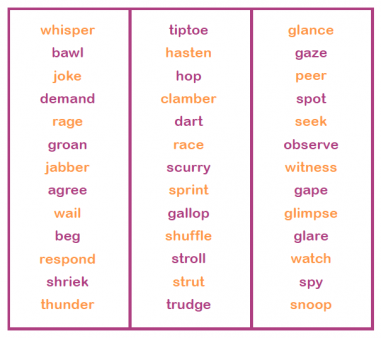 Word banks are quite simply lists of words to support children with their writing. These will vary according to the age of the child and the task given. How are word banks used in KS1? In Year 1, a teacher might ask a child to re-write Little Red Riding Hood. To help them with their spellings, they might give them a bank of words at the bottom of the page, such as: 'wolf', 'grandmother', 'forest' and 'basket'. There are software programmes that give children word banks so that they can create a story by clicking on certain words. This helps them with their decoding skills (ability to look at a written word and say it out loud) and also helps them with composing a piece of writing, without having to worry about spelling or handwriting. Word banks can also be used to help children to be more creative. A teacher might be focusing on adjectives in a particular lesson, so they may ask children to write a description of something using a given bank of adjectives. How are word banks used in KS2? 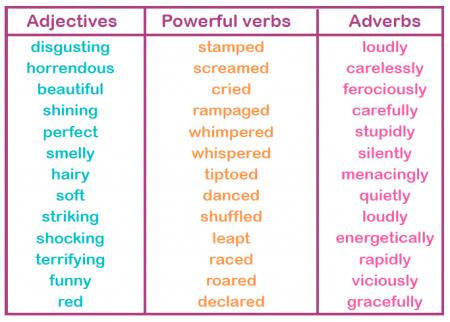 As children move into Key Stage 2, they are expected to start using powerful verbs and adverbs. Some writing tasks that include word banks to support children in being creative with their writing. Word banks can be a good way of helping children to improve their writing by increasing their vocabulary; word banks offer some extra support. Some teachers encourage children to make word banks on the wall, so that a list of adjectives, powerful verbs or adverbs become part of the display for children to see every day. Often they encourage children to add to these lists with words they have thought of or come across. This way the display becomes a collaborative effort where rich and interesting vocabulary can be shared.